Congratulations, you are serving your first customers. What will be your next step? At a certain point, your product vision has to crystallize. How and when do you make this happen? You want loyal customers, but do you solve churn? Preparing the channels for customer base scaling is key in this phase, how to develop these? Is your technology stack robust and open enough to support further growth of your business? You need a valid business plan and go-to-market strategy. Follow the 7-step Startathlon program and fill in the blanks. You and your co-workers will be guided by mentors and investors during an intensive 7-step start-up accelerator program. We’ll give you a head start with one-on-one training sessions, coaching and knowledge exchange. "Startathlon brought us a lot of inspirational moments. New insights into marketing approach, price settings and pitching our story made the sessions very valuable. It gave us a headstart in our roadmap for Tilroy." "Before following the Starthatlon program, we already knew the vision and ambition of Skryv. We had gathered a great technical team to build the software we needed. But we did not know how to pitch and sell. Startathlon helped us to prepare for prospects." Katya Vladislaveva, Chief Data Scientist and CEO at DataStories.com. "Joining the Startathlon program has been one of the best investments I’ve made. I was struggling to make advanced predictive analytics look easy and attractive, not an easy task. The mentors and my fellow Startathloners really helped me with that. I learned a whole lot in a very short amount of time." "Startathlon is a must for every (would be) entrepreneur! This go-to-market coaching trajectory helps you to shape your initial idea into a viable business. Much like a sculptor who starts with a slab of marble which, over time, with skill, passion, hard work and the right coaching is shaped into a piece of art!" "Session after session, pitch after pitch, Startathlon helped us structure our thinking and present our business in a clearer manner. While listening to other participants, we learned much about ourselves and our own business. And we initiated business relationships that appear to be meant to last. BIG thanks to the Startathlon team." "We were flabbergasted at the creativity and technical know-how our colleagues presented, but soon found ourselves at ease, thanks to the mentors, the excellent atmosphere in which the program was run, and also the belief in our own project, however low-profile it seemed under the circumstances. Although we put our project on hold throughout the program, the ultimate go-to-market and following revenues have no doubt been sped up by our participation at Startathlon." "Startathlon is a very good go-to-market training; sessions are well distributed in time and the content is very interesting and consistent with the reality on the ground. The mentors and the organizer were of high quality but also the group of trainees was coherent and curious. The group was interested in others' subjects and readily shared its feelings and experiences with others; thank you all"
"When I first saw the Startathlon program, I thought that it would only be interesting to me after the 3rd session. I have to admit I was wrong. It turned out that all the sessions had a perfect mix of theory and practice. The program is straight to the point and ready for direct implementation." "At first I thought it was too early to participate in the Startathlon program. At the time, my product was not quite there yet. Besides that, I was very impatient, and not very eager to take yet another step before building my product. Fortunately, the program turned out to be a great help, thanks to the interaction with experienced entrepreneurs and experts in different domains." Success is never granted; success has to be earned. Flickr started off as a multiplayer online game. Photo sharing was just a side feature. However, it generated way more traction than the game did. The founders fought for a while trying to stick with their original idea, but it soon became obvious where the real need was. So they shifted the focus to photo sharing. PayPal started as a PDA payment solution. It turned out that no one wanted to use it. The founders of PayPal recognized what people really wanted, and where there was money to be made: online payment. Now we all know PayPal as the leading online payment service. Remember Google Wave? A technically superior product, supposed to replace e-mail as the next generation collaboration platform? Google engineers were using it successfully before the multimillion dollar launch. The launch was a major flop. So, what happened? Apparently, the product didn’t solve a real problem. On top of that, Google Wave proved to be confusing for users. How about GeoCities? In the early days of the Web, it was the platform to host a homepage. It was a very popular product, solving a real pain. Unfortunately, Yahoo! had to close down the product, as they failed to successfully monetize it. So, should you ask people what they want before developing a new product? Not really, no. Henry Ford was right: “If I had asked people what they wanted, they would have said faster horses”. Remember that! Conclusion? To succeed, having technology is great, having a full strategy is better. There is no business without customers, a monetization model, and a go-to-market path. Creating a good business plan is easier said than done, because each case is different, and there are a lot of uncertainties involved for every project. That is exactly why we created our Startathlon program. During the Startathlon program you can carry on developing your business. You get all the information you need during a combination of training sessions, one-on-one coaching and exchange with other innovative companies. In between workshops you can apply what you have learned. You'll get feedback and help from our mentors and your peers. We know your business is unique. We are more than happy to look for answers for the specific challenges in your field. Your product won't sell if it doesn't respond to necessity or desire. Will it really improve the lives of your customers? 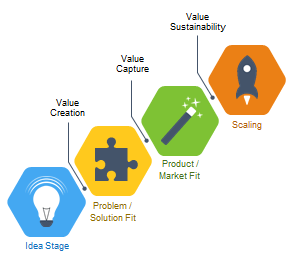 Is your major product feature solving the identified problem? Do customers think it's a must have? Are there any barriers to adoption? You can't create a viable business without customers. How will you market & sell, generate leads and close deals? Do you have a clear path to your customers? Is your communication adjusted to your target audience? Talk the talk, but don't forget to convert the talk into sales. Do you have a good communication pyramid? Do you have sufficient online conversion? Which tools do you use for your communication and conversion? If your sales strategy is not efficient, scaling of your business will not happen. Is each sell a time-consuming effort with a lot of involvement of the entrepreneurs themselves? Do you know your focus customer segments? A business without profit is risky business. Have you found revenue streams? Did you determine and validate pricing that will be accepted by your customers? 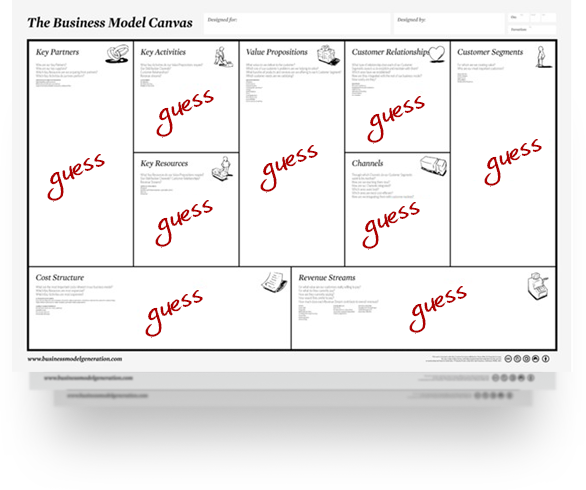 Is your revenue model viable? Are your team and contractors working in an aligned way? Is your venture prepared for growth? Do you have enough resources to build your business? Did you find the right partners and investors? Is your communication clear enough for the different partners? Each workshop is led by a moderator and an external expert. Our experts are not theoretical people – they have proven themselves, each in their own domain. They share their knowhow with other entrepreneurs. Sirris teamed up with the brightest experts and entrepreneurs in Belgium. Sirris is a not-for-profit, industry-owned knowledge center founded by Agoria, the federation of the Belgian technology industry. After he sold his last company, he started to help out European companies with a go-to-market strategy for Europe and the Middle East. He’s also professor of entrepreneurship at the Antwerp Management School. is a scientific entrepreneur. He’s always looking for new key concepts to turn them into a commercial succes. He runs several SaaS companies in markets with high and very diverse customer needs. He’s an expert in finding the best fit between maximum customer service, minimal products and lean business models. is venture capital consultant. He has founded and supported several companies and projects for over 15 years. 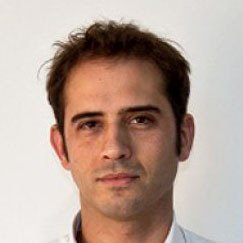 is entrepreneur, lean startup adviser, blogger and organizer of Lean Startup Circle Brussels. He started as a software developer. is software engineer, web & cloud computing adviser, and co-author of The Art of Software Innovation. is engineer, jurist and strategist with a large network in the Belgian high tech industry. Peter started the Mistral program at Sirris. This program guided more than 70 companies in the search for the right technology strategy. The number of participating companies is limited to 6 due to the interactive nature of the sessions. Fill out your contact details to sign up for the next Startathlon sessions. You will be contacted by a team member as soon as possible. Fill out your contact details and describe your idea to the Startathlon experts. You will be contacted by a team member as soon as possible. Fill out your contact details to sign up for a free brainstorm session. You will be contacted by a team member as soon as possible. Toon Timbermont is co-founder of Skryv, a software platform that simplifies administration. Toon: "Our product was good, we just didn’t know how to sell and pitch it. Through the workshops centered around communication, sales, growth and funding we filled our backpack with various entrepreneurial concepts, tools and techniques. But we did more than just listen to experts. We had to pitch. Sell ourselves. Over and over again. Even though that was difficult at first, the feedback allowed us to improve our story, highlight our core message and build a solid deck. The outcome is very clear: with Startathlon, we are much better prepared to see prospects. The content of the Startathlon program is a must-know for an ambitious starter. The mentors are very inspiring and the discussions at the bar are the perfect occasion to exchange experiences, tips and tricks (thanks, Peter!)." Her company helps companies exploit and interpret collected data and do it faster and better than anyone else. They analyze data on individual digital consumer behavior to build robust lead scoring models, and develop data-driven strategies. Katya: "I enjoyed every single Startathlon session. For me the most important outcome was that I finally got my story about DataStories together. Not an easy thing, as advanced predictive analytics don’t look easy and attractive. I am deeply grateful to all the mentors, Sirris experts, and my fellow Startathlon participants for taking the time to understand my challenges and think along with me about the best solutions. I have put the shared wisdom into practice, and will continue to do so." Alexander Prym has built a legal framework and created the necessary insurance policies to allow the employers to test perspective employees completely risk free. The biggest challenge was finding the right customers and a path-to-market for this innovative service. That's why he joined Startathlon™, the go-to-market academy of Sirris. Alexander: "I was attracted by the way Sirris structured the program, very hands-on and practical. The position was perfect for me: I was way past the idea stage at the time, and I already did a more general entrepreneurship course at the Solvay Business School. The sessions were the right mix between theory and practice. The mentors were great, nobody was sitting in their ivory tower. The "homework" really forces you to move your business along. But what I really like about Startathlon is the fact that the assistance didn't stop with the sessions, the experts were available whenever we needed help. I especially appreciated that we could work in a small group. Not only did we get the time for our own project, we also got to know the other projects very well. It was very interesting to see how they approached the challenges we all shared. The four month duration is perfect - it's not 1 or 2 years, not 1 crazy weekend. I would certainly recommend the program to other entrepreneurs, because it's practical, and calling for direct implementation. It's straight to the point, since the focus is on the things that are necessary and sufficient." After years of research, Inez Michiels (City of 8) built a semantic database of 10.000 words and linked them with thousand shapes and color combinations. She is now on a mission to make her knowledge available to the world via Knum, a software product. Designers everywhere will be able to use Knum to turn their client's message into an effective visual language. An artist by background, tech entrepreneurship falls outside Inez' comfort zone. Despite many difficulties, she kept fighting for her dreams. Her latest stepping stone was joining the Sirris Go-to-Market Academy. Inez: "I love the idea that the program is open, which gave me the opportunity to interact with different experienced entrepreneurs, get their feedback and ideas. Every session, you get a new insight from different professionals, experts in their domain. Between group sessions, it’s possible to meet experts to discuss your questions one-on-one. They are very flexible and genuinely helpful. Startathlon is a great program, especially for inexperienced entrepreneurs, because it’s very complete. You get help with every aspect of starting a business. Not just the business plan, but everything involved. Sharing my experience with the peers in my group, and listening to them gave me a lot of insight. Startathlon puts your feet on the ground, where they belong when you’re starting a business project."